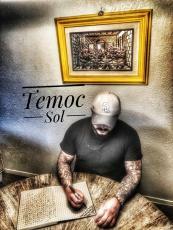 My name is Temoc Sol. I enjoy reading Non-fiction books and Urban Fiction Literature. My favorite author Is Donald Goines. His best written book ,in my eyes is Whoreson. I am Author of Urban fiction literature and I am currently working on a Urban fiction novel. As a novice in the literature industry, I am constantly trying to listen to advice from other authors and how they handle their writing projects. I am 32 years old and my interest in reading books began at age 15. After reading hundreds of books from then until now and with the life experiences that I have lived I decided to become an author. I thank every one in the literature community for the opportunity to be involved in the world of expressing ones self In Ink. You can view some of my video content on youtube. Type Temoc Sol in the Youtube search window, with a space between Temoc and Sol.